In some prefectures (Chiba, Ibaraki and Yamanashi) it is customary to stick an amulet calendar leaf on the wooden window or paper sliding door, to prevent any sharp wind from coming in and harming people. 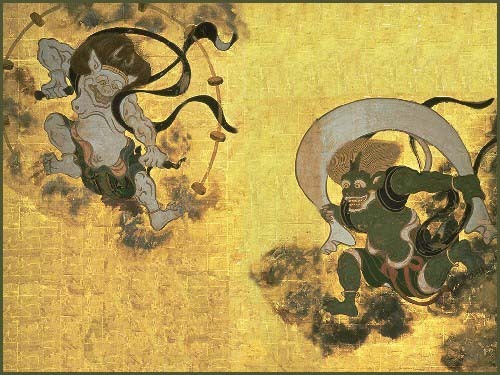 The Wind God uses a large sword to cut the skin and is seen as yokai monster called カマヘダチ kamahedachi. 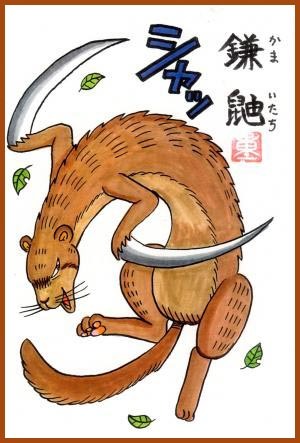 The official name is Kamaitachi 鎌鼬（かまいたち） "sickle weasel". 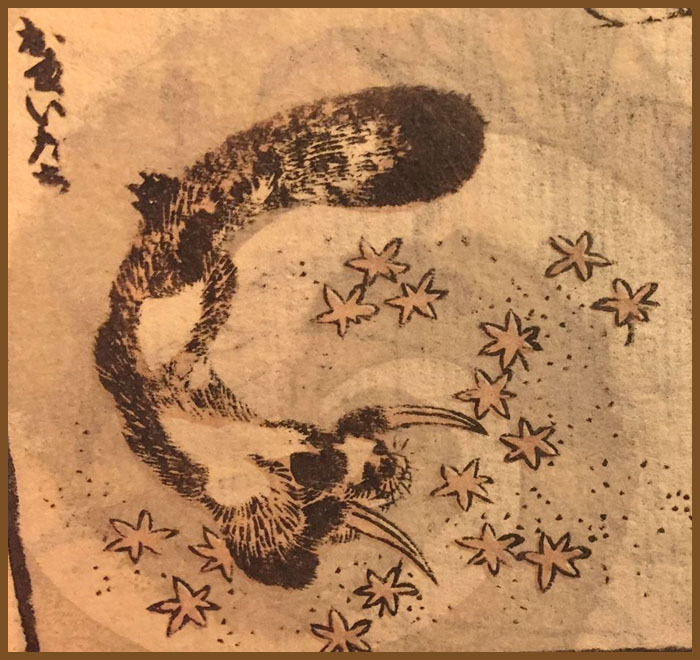 Kamaitachi (鎌鼬) is a Japanese yōkai often told about in the Kōshin'etsu region, or can also refer to the strange events that this creature causes. They appear riding on dust devils, and they cut people using the nails on both their hands that are like sickles. One would receive a sharp wound from it, but there is no pain.
. . . It was originally thought to be a corruption of the word "kamae tachi" (stance sword) . . .
Around 1740 someone saw a strange young man. His hair had a strange do and his haori 羽織 coat was so long it dragged on the ground. The sword in his sash was very long too and the pipe was another long long item. People who saw him thought he was the God of Wind. A young acolyte at the temple suffered from the cold sharp wind (kamaitachi). He burned some amulet calendars and spread the ashes on his sore skin to heal it. Another man in the 甲斐 Kai province stuck some amulet calendar sheets on the windows to keep the Wind God with his long sword out. A tengu clad as a 山伏 yamabushi mountain priest was asked to come to a village to attend some rituals. In no time he came flying through the sky and landed at the shrine for the clan deity 氏神の社. Since it was cold the villagers asked if they could make a fire. But when the Yamabushi used his Tengu hand fan to kindle the flames, the fire went out all of a sudden. 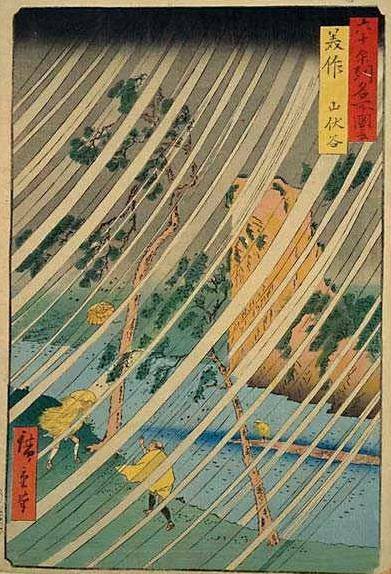 When leaving the Yamabushi told one farmer that there had just been a fire in his farmhouse and he had distinguished the fire with his divine wind . . . The pagodas of some temples in various parts of Japan have been lost to fire, because of a strong wind caused by the Tengu - 天狗の所作. 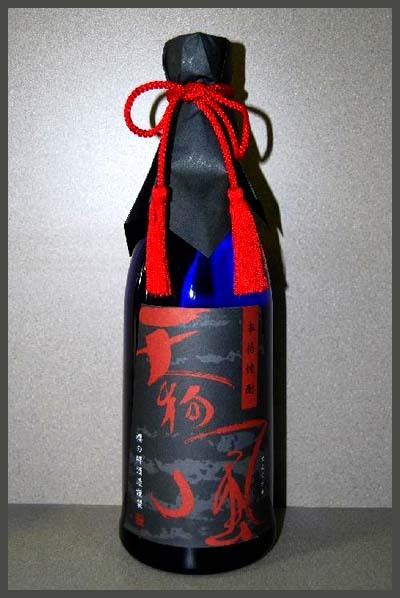 The great city fires in Kyoto, Osaka and Edo are also caused by the Tengu. It all starts with a small fire in a neighbourhood but when suddenly a strong wind begins to blow, the whole ward is in fire. In the middle of the bridge 河内橋 Kawachibashi there is a huge boulder with a small sanctuary in it. Now the Wind God, who was once located in the mountain forest, is venerated here. 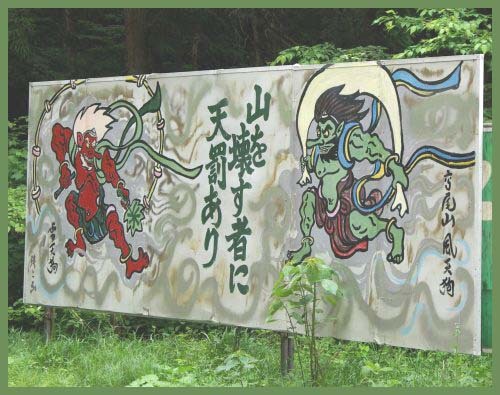 Villagers come here to be healed of coughing 咳.
was a Japanese samurai warrior of the Sengoku period. 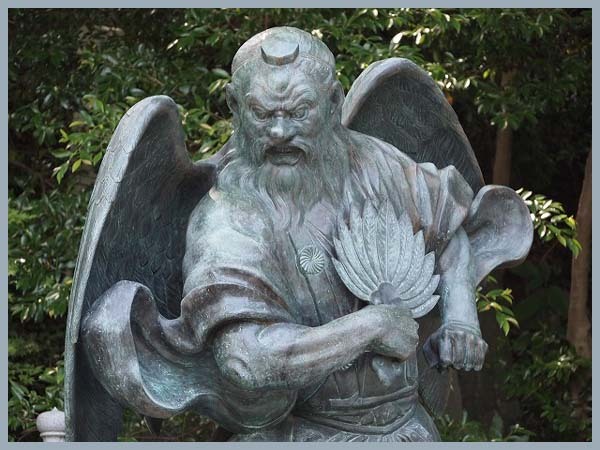 He was known as one of his "Twenty-Four Generals of Takeda Shingen". He is often credited as the original author of Kōyō Gunkan, which records the history of the Takeda family and their military tactics. He is a God of Wind and rides a black bull out of his 風穴 "Wind Cave" in a boulder. 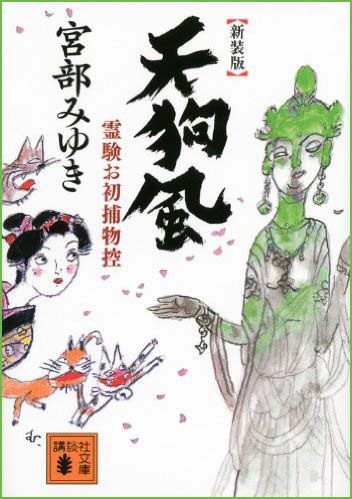 The God of Wind does not like the Chinese Lions (shishi 獅子), therefore the dancers of the New Year 神楽獅子 Kagurajishi and 越後獅子 Echigojishi do not come to the shrine via the main access slope. If they would dare go straight up the slope, a strong wind and rain is sure to come. During the 奈良の水取 Mizutori ritual in Nara the Tengu from all of Japan come here and produce a cold wind.
. Omizutori お水取り, the 修二会 Shuni-e - Introduction . Hey you Tengu up there! Please blow more wind in our direction. If it is too much, we will send it back! A kind of whirlwind, coming from nowhere, leaving destruction, blowing on . . .
click for more books ! upside down . . .